Some of my favourite things… 8 to be precise! Inspired by an article in one of the colour supplements at the weekend, I thought I’d photograph my favourite 8 objects. They are some of the possessions I have that are my treasures for lots of different reasons. My only rule was, I had to include my favourite novel (to make it relevant to my blog!). So, starting top left we have Arundhati Roy’s, God of Small Things…one of the best books I have ever read. If you haven’t read it, I recommend you give it a go! Next to that is my blue Delft Bols gin Amsterdam merchants house, bought last year on a memorable trip to holland. Just below the pretty house is my delicate sea urchin, found on the golden sands of Armona. Then we have an Alfa Romeo Spider… I loved that car:) then top right is one of my many travel journals, this one is when I went to India in 1994.. Bombay,Goa, Mysore, Ooty, Trichu, Cochin, Goa, Bombay…. Home. Bottom right is ‘squirrel’, he’s actually a ring tailed Lima but Alfie (my son) couldn’t say that when he was little. 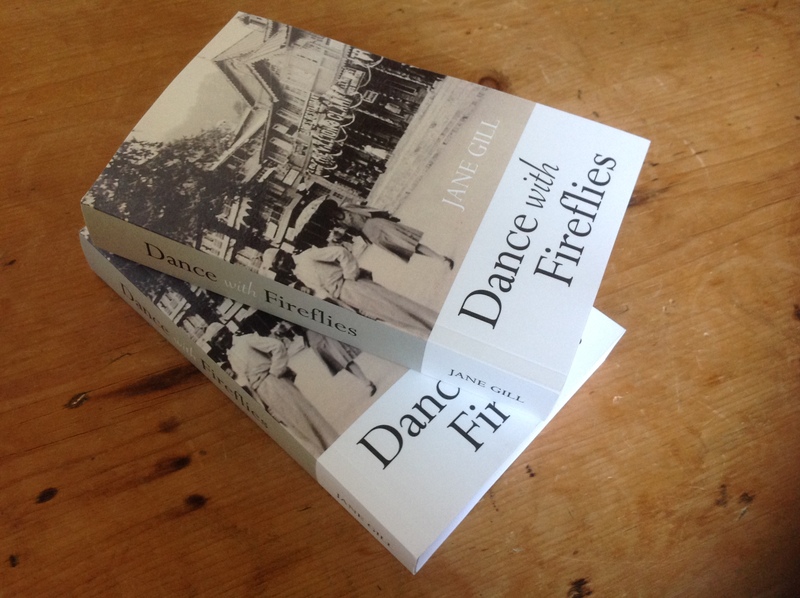 Next to lovely squirrel is my collection of 3 silver bangles that mum bought me for my trip to the Kumaon Literary Festival last year… They gave me great strength as I stood on stage and spoke to the audience about Dance with Fireflies. Lastly is one of a collection of photo albums of precious family holidays. I would love to see your 8 favourite things (including your most treasured novel). Email me at: janehowis@gmail.com if you’d like to be featured on my blog… Looking forward to hearing from you! Where do you start when thinking about writing a novel? Mine came to me relatively easily…it was handed to me on a plate really! My novel is based on my maternal grandmother’s life, a daughter of the Raj. 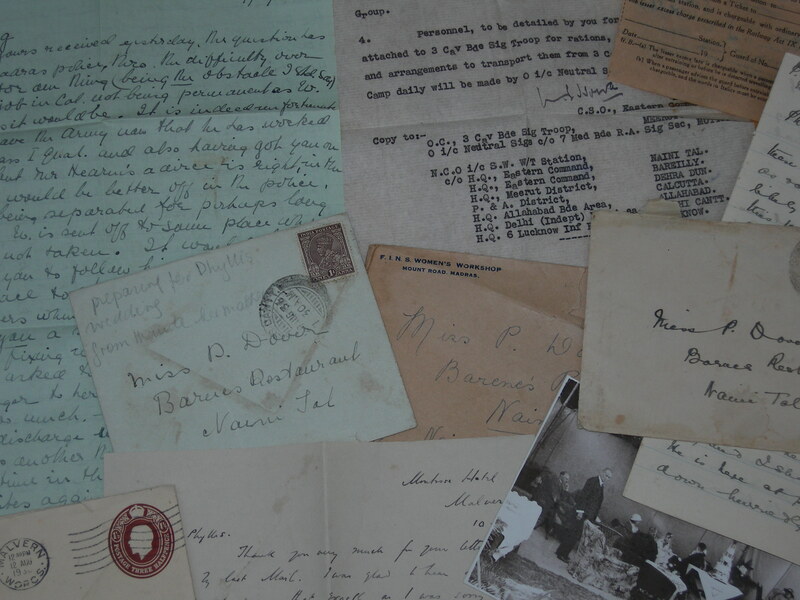 My grandmother was a prolific letter writer and hoarder. I am lucky enough to have access to a trunk full of letters, diaries, photograph albums, notebooks, the family cookbook, even her wedding present list. I was brought up with glimpses of her life in India. From stories of the colonial bungalow she was brought up in, to the lively restaurant with dancing and partys that she ran with her sister in the hill station of Nainital. The exciting voyages on troopships from Bombay to England and back again, amidst the second world war. I feel it is a story that hasn’t been told before. It has a delicious mix of optimism, love, suspense, humour, tension, joy, sadness and prejudice. My journey began with a lot of research, I mean a LOT of research. I spent a few months reading and trying to decipher hundreds of letters from Phyllis, my grandmother to her sweetheart, Arthur. And from both families in India and England. Some handwriting was easier to read than others. As I read, I noted down anything of interest and dated the information to build up a clearer picture of who was where and when, and what sort of dialogue they were having. Within these months I felt I got to know Phyllis, my protagonist, which helped me to carve out her character.